Open banking: What does this new financial reform mean for UK start-ups? Slipping in unnoticed rather than making a grand entrance, the introduction of open banking on Saturday 13 January 2018 has actually changed consumer banking forever. Not that it seems anyone noticed. Met with general indifference on the most part, the initiative, led by the Competition and Markets Authority (CMA), is actually designed to insert more transparency and co-operation into the banking sector – helping consumers save money as well as opening up a range of opportunities for UK fintechs to work in tandem with the big banks. A joint UK and EU directive, the new open banking regulations allow banks, with a customer’s permission, to share years’ worth of consumer spending data via a set of secure application programming interfaces (APIs) to a whole host of third parties, provided they are authorised by the Financial Conduct Authority (FCA). These third parties – which includes everyone from alternative finance providers, tech companies, and retailers – are now able to offer said consumers a range of financial offers and deals (on things like mortgages, overdrafts, insurance and broadband) based specifically on their particular spending habits. It is hoped this move will increase competition between different financial lenders, allowing consumers to attract better deals and save money. It should also help make the process of switching banks and service providers more seamless. A formal requirement for the nine biggest banks in the UK, credit card companies and other payment service providers will eventually have to share the consumer data they hold, but not until a much later date. These nine banks that are legally required to give customers control over their data are: AIB Group, Bank of Ireland, Barclays, Danske, HSBC Group, Lloyds Banking Group, Nationwide, RBS Group and Santander. How will open banking affect fintech start-ups? Further digitising the UK banking sector, under open banking, fintech start-ups are now able to play a much more important role in the financial services sector – with some banking start-ups now able to challenge traditional lenders more directly and effectively. Somewhat of a significant power shift in the industry, collaboration between banks and start-ups has, until now, mostly involved a big bank acquiring a smaller fintech to make use of its tech solution. However, this new financial reform should see banks and start-ups work more in tandem – as big banks will need to be more co-operative than in previous years, in order to offer a more tech-driven and consumer-focused experience for its customers, who will now be able to shop around more freely and easily. Although you’ll need to adhere to incredibly strict financial regulations, as well as raise a significant amount of seed funding, open banking in theory should make it easier to launch your own bank. A good example of a start-up bank done right is Startups 100-ranked Monzo. Claiming to be the world’s first smartphone-based bank, Monzo focuses heavily on the millennial market and places huge emphasis on its tech offering and customer service. Becoming a fully authorised, unrestricted bank back in April 2017, Monzo users can make bank-to-bank payments, set up Direct Debits, and have their salary paid into their Monzo account. With consumer’s financial information now more accessible than ever before, and with the continued rise of artificial intelligence, more innovative methods of financial assistance are bound to become more popular. One idea would be to create a ‘personal financial assistant’ tool that would aggregate financial information from a consumer’s various different bank accounts. Allowing the user to better understand their own financial situation, the chatbot could even help with managing your finances and budgeting accordingly – while simultaneously offering financial advice by comparing your current deals to exiting ones in the market. Once again, changing banks should now only be a few clicks, rather than a week’s worth of admin. An example of a start-up doing something like this is London-based Plum. An AI-powered Facebook chatbot, Plum allows consumers to start saving money by connecting to their current accounts and learning their current spending habits. Plum’s tech then automatically saves small amounts of money every few days – eventually building into one large sum. With the new levels of transparency and connectivity, consumers should, in theory, be able to open a banking app for one account and see a list of all their accounts, even those with rival banks. And there’s already start-ups on the scene doing just that. Having raised $10m back in July 2017, all-in-one bank card app Curve helps combine all of its users’ bank cards into one Mastercard via its banking app. Backed by a host of heavyweights from the banking sector including Santander Innoventures, the ex-COO of Deutsche Bank and a former Credit Suisse board member, the app even allows users to retrospectively change what card they have used for a certain payment up to two weeks after the transaction. Innovation foundation Nesta even recently selected the 20 fintech start-ups it believes will shape the ‘open banking’ revolution. Part of its Open Up Challenge, the £5m prize fund asked participants to use open banking APIs to transform the way UK small businesses access and use financial services. The cohort includes Young Gun-founded and Startups 100-featured Duedil, the free to access database of UK company financials; Tech Pitch-featured Funding Xchange, the alternative funding comparison site; Startups Awards-nominated business finance provider Iwoca, and Startups Awards-nominated credit checking tool Ormsby Street. While self-described open banking start-up Railsbank, founded by Nigel Verdon, the man behind two-time Startups 100-featured Currencycloud, more recently raised $1.2m seed investment. Christoph Rieche, co-founder and CEO of Startups 100-ranked alternative finance lender iwoca believes that the regulation should level the playing field between banks and alternative lenders but for small and micro businesses to benefit significantly from the changes, the banks will need to meet their responsibilities in full. “Open Banking is an opportunity for alternative finance lenders to compete head-to-head with the banks, who currently enjoy the lion’s share of the £164bn small business lending market, by unlocking data that only the banks could access until now. “But awareness is low at present and innovative alternative lenders have already done much to relieve the burden on small businesses of lengthy forms, long waiting times and bad terms when applying for finance. 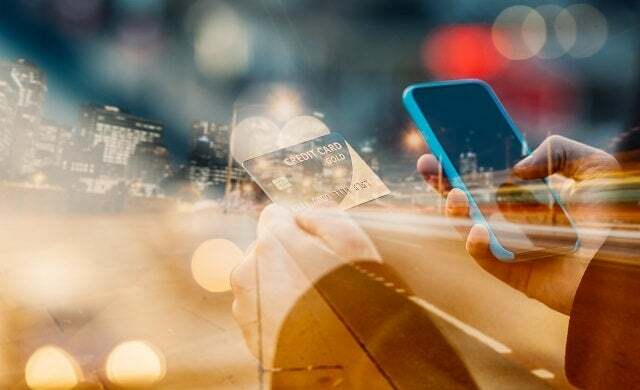 “Open Banking is the beginning of a new era in which banks will increasingly leverage their strength in their distribution network and their existing infrastructure for transactions, partnering with consumer-friendly and data driven start-ups that can revolutionise the last mile delivery of financial services.